Call to freeze library closure. Plans to change Marcus Garvey Library in Tottenham Green by taking over most of the first floor for council offices include closing the library for at least six months, starting in September. This is being classed by the council as improvement works, not a restructuring – and so they don’t need to consult anybody. 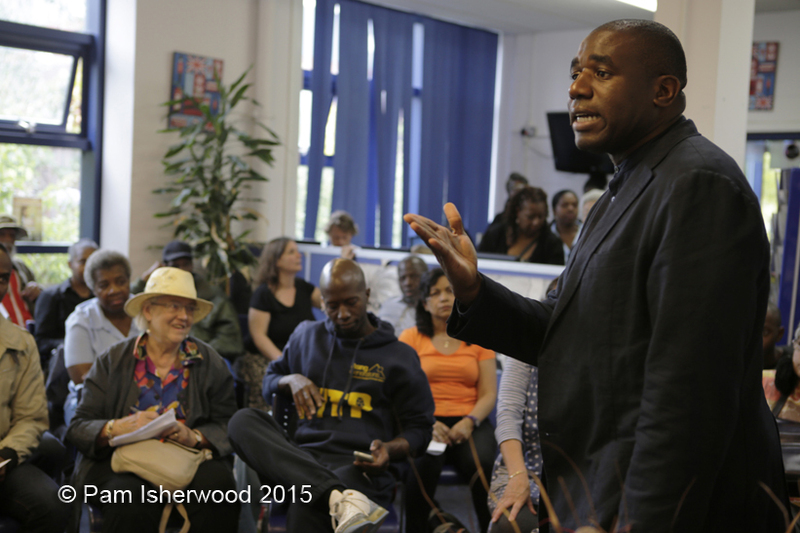 Save Marcus Garvey Library meeting with David Lammy MP. 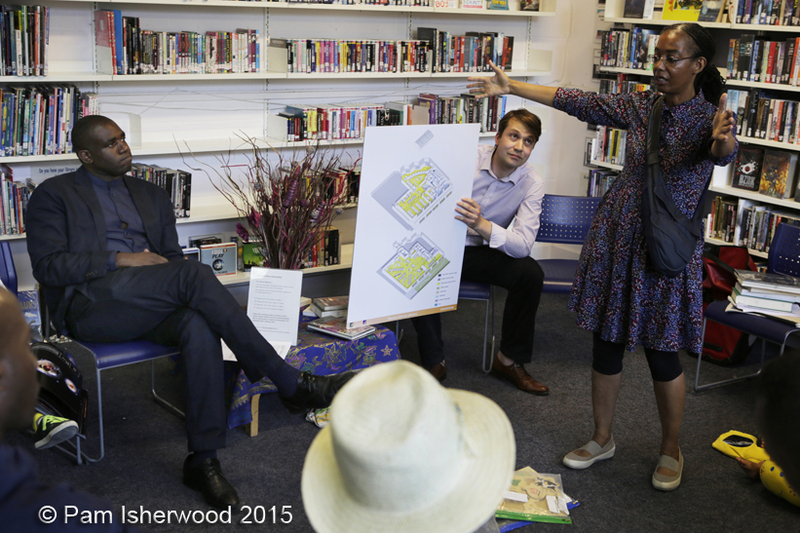 A packed meeting in the library on Monday called by the Friends of Marcus Garvey Library, brought MP David Lammy into the discussion. Like many people, he knew nothing of the plans to close the library, especially at this three weeks notice. He says he has no power over what happens at Council level, but will do what he can to stop this short-notice closure. The Council has made NO local provision for an alternative, for the thousands of library users. They have been advised to use St Anns library instead. Some classes are moved to Wood Green. There are three hours of toddler sessions offered at the Bernie Grant Centre. St Ann’s is a mile away, and is tiny. There is an empty school building next to MG Library, recently vacated by a private nursery school. The whole story is a scandal that has been spun as a benefit – cut library space in half, re-schedule all the library staff as ‘advisors’, make them reapply for their own jobs, bring a steady stream of people looking for housing advice into the library past the children’s corner, throw away or sell for 20p thousands of books including many from the specialist Black Triangle collection – and Cllr Jason Arthur, responsible for library services, calls this ‘enjoying a significant makeover’. They must think we are totally stupid. We now wait to hear back from Mr Lammy re how he gets on with his call for a freeze on the closure. He was clearly displeased to know nothing of this despite being the local MP. This entry was posted in News and tagged cuts, library, marcus garvey. Bookmark the permalink.